In a futuristic undersea city, Sadie falls hard for captivating Logan — only to discover that he comes from another world! Action, romance, and intrigue combine in this addictive page-turner. CAP Award Nominee for Best Young Adult Book 2016. Amazon Bestseller with over 55,000 copies downloaded in twelve months. 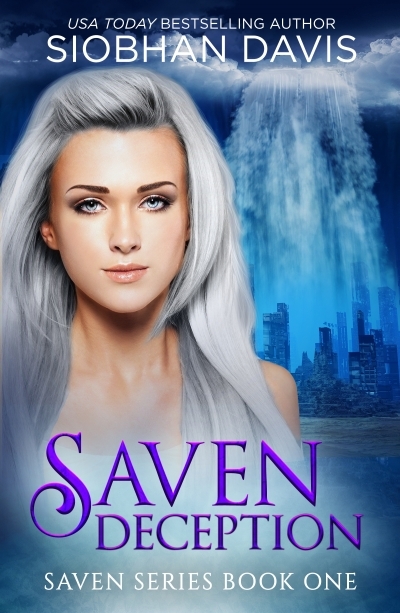 Saven Deception is the first book in this exciting YA sci-fi alien romance series. This series will appeal to readers who love fast-paced plots with plenty of suspense and intrigue and tons of romantic moments. For fans of Kricket, Lux, The Fifth Wave, The Host, Alienated and other similar books.